“The industry may collectively need to spend around 100 billion U.S. dollars in order to install the new ballast water treatment systems that will be required by law. 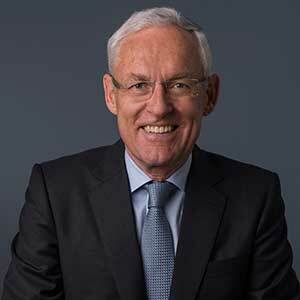 We therefore have to get this right.” asserted Esben Poulsson, Chairman of the International Chamber of Shipping (ICS). ICS has welcomed the important decision, made by IMO in July, to adjust the implementation dates of the Convention, so that existing ships (i.e. ships constructed before 8 September) will not be required to install treatment systems until the date of their first International Oil Pollution Prevention (IOPP) renewal survey after 8 September 2019. ICS believes that as a result of the industry’s intensive efforts to explain its implementation challenges to regulators, shipowners will hopefully now have the clarity needed to get on with the job. The ambitious intention of the IMO BWM Convention is to address the problem of invasive marine organisms having damaging impacts on local ecosystems through their transportation in ships’ ballast tanks. However, when it was adopted in 2004 the technology required for ships to treat millions of gallons of ballast water simply did not exist outside of a laboratory. In October 2016, following a major industry campaign led by ICS over several years, the IMO Marine Environment Protection Committee (MEPC) finally adopted revised and more robust type-approval standards to be included in what will soon become a mandatory Code for Approval of Ballast Water Management Systems – the previous ‘G8’ Guidelines having been found by shipowners to be inadequate in a number of key areas. IMO has recommended that administrations apply these revised standards as soon as possible. However, they will not become mandatory for new system approvals until 28 October 2018 and only systems being installed after October 2020 will be required to have been approved in accordance with the new Code. Shipping companies have been advised by ICS in these FAQs to put pressure on manufacturers by only considering treatment systems for installation that have been certified in accordance with the revised IMO type-approval standards adopted in 2016.